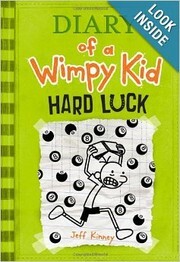 Diary of a wimpy kid ; 8. Kinney, Jeff. Diary of a wimpy kid ; 8. 246 VaryingTitle 30 $a Title proper/short title Hard luck. $v Vol. no./sequential designatn 8.